A plant the federal law says is a Schedule I controlled substance was used to make the U.S. flag that will fly over the Capitol on Veterans Day. 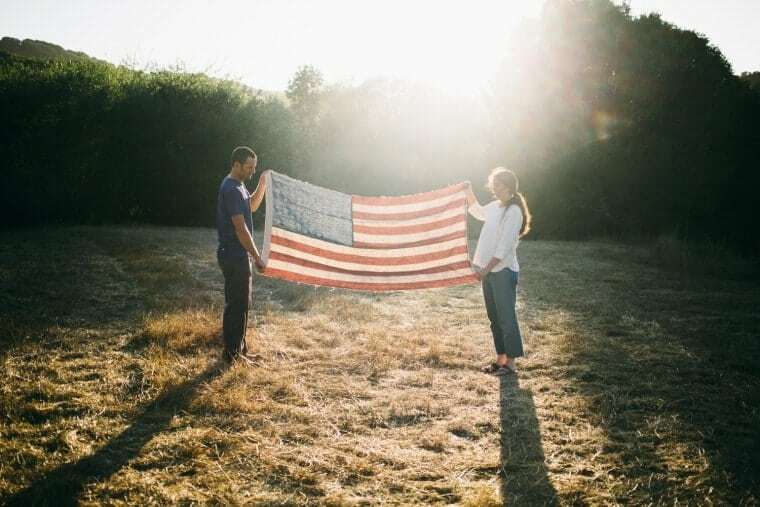 Industrial hemp could be a boon for small farmers, say proponents, including the U.S. veteran who grew the hemp used to make the flag. An American flag made of industrial hemp grown in Kentucky by U.S. military veterans will be flown over the U.S. Capitol for the first time on Veterans Day, according to a press release from organizers of the event. The event is in support of federal legislation that would restore the industrial hemp industry in America. The 2014 farm bill granted states limited permission to allow cultivation of industrial hemp for agricultural research or pilot projects. Kentucky Senator and Majority Leader Mitch McConnell was among the legislators who supported the measure. “Hemp was a crop that built our nation,” said Mike Lewis, a U.S. veteran and Kentucky hemp farmer who directs the Growing Warriors Project. The project grew the hemp used to make the flag. “Betsy Ross’ first American flag was made of hemp. We have flags made in China now. That’s almost sacrilegious,” Lewis said. He served in the “Commander in Chiefs Guard” of the 3rd U.S. Infantry from 1992 to 1995. Twenty-seven U.S. states have enacted or are considering laws to allow industrial hemp cultivation or are petitioning the federal government to declassify industrial hemp as a drug. The proposed federal legislation would remove industrial hemp from the controlled substance list. Joe Schroeder with Freedom of Seed and Feed said industrial hemp could be a big help to America’s small farmers. “If a hemp industry is to thrive in America again and provide the stability for so many communities that tobacco once did, it has to start with the stability of the small farmer,” Schroeder said. Hemp advocates say the fibrous plant can be used as raw material in clothing, carpet, beauty products, paper, and even as building material, insulation, and clutch linings. About 30 countries allow cultivation of industrial hemp, according to a 2015 Congressional Research Service report. These nations produced about 380 million tons of hemp in 2011. The U.S. imported $37 million in hemp products in 2014, according to the report. Al Jazeera America reports that the U.S. Department of Agriculture’s last record of a hemp crop was in the 1950s. The plant was grown to make rope during World War II. Its production peaked in 1943 when 150 million pounds were harvested from 146,200 acres. Hemp is related to the plant that produces marijuana but contains negligible amounts of THC, the active ingredient in marijuana. Political observers say the effort to change U.S. law on hemp is part of a larger rethinking of cannabis laws. An opponent of marijuana legalization told Al Jazeera last year he doubted that a change in the U.S. industrial hemp laws would have much impact on the marijuana debate.